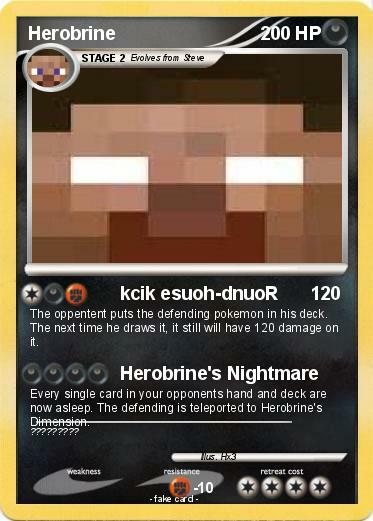 The oppentent puts the defending pokemon in his deck. The next time he draws it, it still will have 120 damage on it. Every single card in your opponents hand and deck are now asleep. The defending is teleported to Herobrine's Dimension.